Last month I paid homage to one of my wardrobe loves – sneakers. This month I would introduce you to another wardrobe love of mine -the t-shirt/jean combo. There is nothing more versatile than the t-shirt and jeans combo. Pair it with some sneakers for a laid back look. Accessorize it with some heels and statement jewelry for a couture chic look. If you’re like me, t-shirt and jeans is a go-to outfit for the weekend. However, this combo isn’t reserved for the weekends. Whether you’re planning for the work week or a night on the town, the t-shirt and jean can serve as the foundation for a fabulous look. If you’re looking to upgrade your t-shirt and jeans look, here are a few suggestions. If you want a sophisticated look, pair your jeans with a nice jacket. For a casual look, a bomber jacket will do the trick. 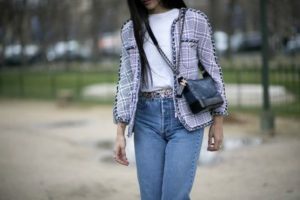 But if you’re looking for a more high fashion look, pair your t-shirt and jeans with a Chanel type jacket. Another awesome way to liven up the classic combo is to wear a cardigan or duster. Layering a cardigan or duster onto your favorite t-shirt/jean combo can provide a polished look. When in doubt, Accessorize, Accessorize!! Nothing spruces up a look like the right accessories. No matter the occasion, accessories will give your outfit that pop or wow factor. Adding a scarf with some wedge heels or flats provides a fashion flare to your outfit. If you’re looking for a sporty chic look, pair your jeans and t-shirt with sneakers and a baseball cap. Baseball caps are no longer reserved for bad hair days or sports games. In fact, baseball caps can be the finishing touch needed to achieve the sporty chic look. Another way to make a statement with your jeans and t-shirt is to add a dramatic bag. Whether it’s to add a pop of color or to upgrade your look, the right bag can be the final touch. 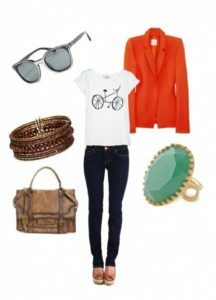 Building your wardrobe around the basic style elements of a t-shirt and jeans can be a simple task. You can go from casual to chic with the addition of the right accessories. Whether it’s pairing the combo for a lazy day or a night on the town, the possibilities are endless and budget friendly. 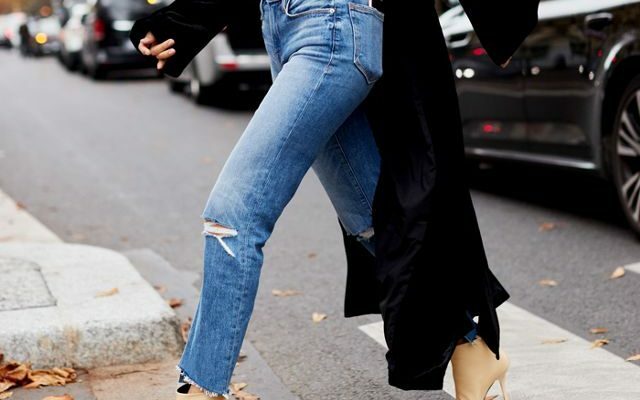 So grab your favorite jeans and create a versatile look.